University of Health Sciences has advertised that UHS Lahore admission in 2018 is opened officially. UHS offers MBBS, BDS, Pharm-D, DPT, BSc(Hons) in 15 disciplines of medical and health sciences. In addition to this UHS is also providing the facility of doing Mphil, MD, MS, FCPS and MDS degree programs to the students of medical sciences. 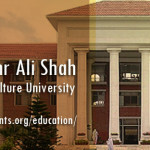 University of Health Sciences Lahore is established in the year 2002 and abbreviated as ‘UHS’. 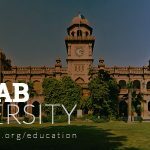 University control and manage all institutions who are providing medical and health education to the students of Punjab province. The candidates who want to be a part of UHS Lahore as a student must apply before the last date in the UHS admission advertisement 2018. 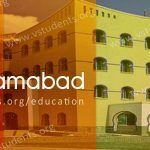 UHS fee structure 2018 is reasonable and affordable for the students. 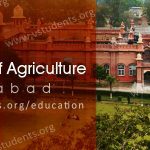 Comprehensive guideline for admission, admission procedure, admission form, fee structure, MCAT test, UHS Lahore Entry test 2018 and merit list, UHS entry Test Results, MCAT Results, a variety of scholarships and jobs announced by UHS are explained in detail in the following paragraphs. University of Health Sciences Admissions 2018 is announced for inviting admission application from interested students in the disciplines which are MBBS, BDS, Pharm D, Doctor of Physical Therapy DPT, BSc Nursing, BSc (Hons) medical imaging technology. Medical and healthcare is a noble profession which is the main cause of motivation for the talented students who wish to adopt this as a profession. UHS helps them to bring their dreams into reality by providing them quality education of international standard. UHS admission last date is prominently printed in the admission advertisement. Complete procedure to apply for the admission at UHS is also clearly mentioned. UHS prospectus is available at the admission office. Applicants must study the prospectus thoroughly for getting information about admission procedure, fee structure, important dates for admission, entry test pattern etc. Must check one of top-ranked King Edward Medical College Admission details and also check AKU Admission complete procedure. Candidates should not wait for the last date to apply for the admission. 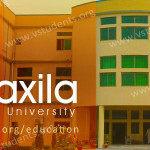 Admission application should be submitted to the admission office as soon as possible. 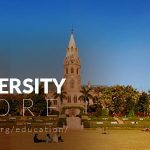 Last date for applying in the master degree program is 11th Feb 2018. The entry test will be held on 26th Feb 2018. 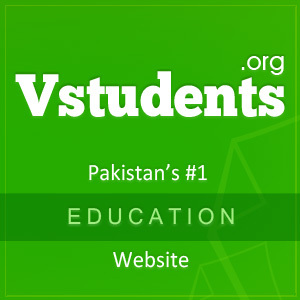 Check Top Medical colleges in Pakistan for getting information about their admission last date and fee structure. University of Health sciences Fee structure 2018 and its affiliated institutions have very less fee as compared to private medical colleges. If a student fails to get admission in the UHS affiliated medical and dental colleges, then he/she has to pay large amount for studying in these colleges. 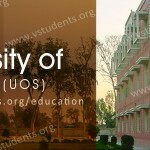 Further details about fee structure of UHS offered programs can be seen by clicking Here. Also, must apply in Dow University Karachi and Gandhara University Peshawar for medical admissions 2018. 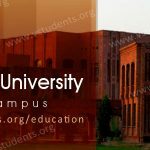 UHS is the provincial authority who conducts Medical Colleges Admission Test (MCAT) for taking admission in all the private and public medical and dental colleges in Punjab. All the candidates who wanted to get admission in the medical and dental colleges under UHS must appear in the MCAT Test. For taking admission in MS, MPhil, and PhD, UHS entry test is mandatory. UHS admission form 2018 for obtaining admission in the degree programs offered by the University of Health Sciences can be obtained from admission office of the university or can be downloaded from Here. Instruction for filling the admission form is printed on it. Incomplete form or submitted after the last date will not be considered for admission. Download the prescribed admission form 2018 from Here. The applicant shall fill the application form with blue ballpoint and three color photographs on the form. Applicant must submit a processing fee of 500/- in the NBP designated branch as specified by UHS in admission advertisement. Submit all these documents to the Director (Admin and coordination) by post or hand before or on the due date. University of health sciences always conducts UHS entry test every year of interested candidates. The entry test for admission in different medical and dental colleges will be held on 26th Feb 2018. Don’t forget to double check the UHS Lahore entry test date 2018 which is advertised by the university. Please scroll up for admission last date section on this page above. After taking MCAT Test, UHS official prepare the merit list of students against the admission seat in the medical and dental colleges of Punjab. UHS Merit list 2018 of candidates who are eligible for admission to different medical and dental colleges according to their merit number and preference is displayed on the UHS notice board and also make available online for the student easiness. Merit list for admission medical and dental colleges can be seen by clicking Here. UHS admission criteria and eligibility requirements are different for different types of programs. Candidates applying for MBBS, BDS, BSc(Hons) must have passed FSc examination with minimum 60% marks. For admission in all public medical and dental colleges in Punjab, MCAT entrance test is the must. There is no restriction on age for the admission in medical and dental colleges of Punjab. UHS and its affiliated medical & dental colleges in the all over Punjab offers following degree programs which are MBBS, BDS, Pharm D, Doctor of Physical Therapy DPT, BSc Nursing, BSc (Hons) medical imaging technology, BSc(Hons) Nutrition, BSc (Hons) Dental Technology, MS, MPhil, MD, MDS, FCPS, MDS. UHS allows scholarships to the needy and deserving students. 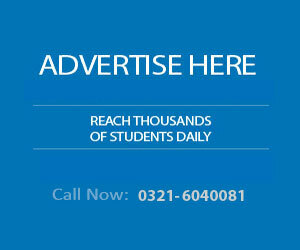 Punjab Government has sanctioned two merit-based scholarships for MBBS and BDS students every year. The students who are awarded this scholarship can receive Rs. 1000/- as scholarship amount. Student performance in previous year examination is the basis for the grant of these scholarships by UHS. i want to get admission in mPhil hematology, so tell me last date of admission form. Can somebody tell me what is the last date of MCAT admission. Tell me the eligibility of BS nutrition and if MCAT is required for it?